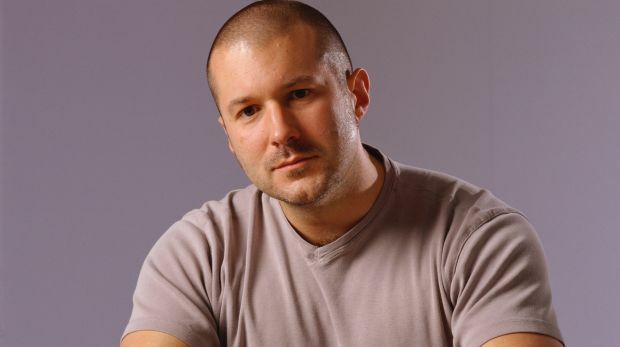 Power behind the throne: Jony Ive. Apple has briefly peeled back its cloak of secrecy to give an unprecedented look at the brains trust and processes behind its all-conquering creative design team. The details are revealed in a 16,000 word New Yorker profile of Sir Jony Ive, Apple’s senior vice-president of design. London-born Ive is the creative genius behind all of Apple’s product hits from the iMac in 1998 to the soon-to-be released Apple Watch. Ive was originally just the hardware design guy, but his new boss, Apple chief executive Tim Cook, extended his sphere of influence in 2012 to cover the look and feel of Apple’s software. To borrow a job title from the hit TV series Game of Thrones, the appointment cemented Ive as Apple’s Hand of the King – or Hand of the Cook, to be exact – the power behind the throne who is at times even more powerful than the king. In addition to Ive and his team of designers, writer Ian Parker was given exclusive access to Apple’s design lab, an area that’s even off limits to many Apple employees. 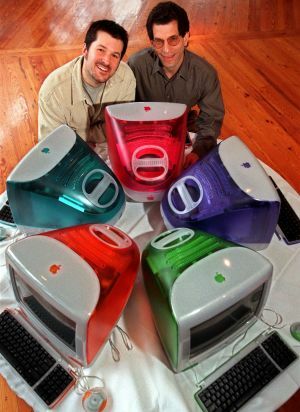 The article confirms the “bromance” between Jobs and Ive that began almost from their first meeting in 1997, when Jobs returned from a decade-long exile to retake command of the company he co-founded 20 years earlier. Ive recalls how they clicked at their very first meeting, even though Ive was carrying a letter of resignation in his pocket and Jobs was courting someone else for the role. Parker suggests that relationship with Ive’s current boss, Tim Cook, while warm is a totally different dynamic. “If Jobs and Ive had a father-son dynamic, Ive and Cook seem like respectful cousins,” Parker writes. Here are some highlights from the article, which you can read in full here. Apple’s instructions to its (mainly Chinese) manufacturers include “a tool’s tracking path, speed, and appropriate level of lubricant”. When an Apple designer walks in to a meeting it is “like being in church when the priest walks in”, according to a former engineering intern. Team members are expected to work 12 hours a day and are not permitted to discuss their work with friends. To find the best designers, Apple employs three recruiters to identify job candidates. Since 2000, only two designers have left the studio, one because of ill health. About one new designer a year joins the group. One of the designers, Hugo Verweij, is a Dutch sound designer who was running a website selling “minimalist ringtones” before he was hired. Another designer, Jody Akana, specialises in colour. Only colour. The worktables in the design studio inspired the benches found in the Apple stores. Apple has built a fully functional 1800 square metre cafeteria as a miniature prototype for a larger facility that is to be built in its new space-age campus. Ive said he and Newson could “incite ourselves to a sort of fever pitch” over poorly designed products that had been “developed to a schedule, to a cost” or “developed to be different, not better”. Ive denied that Newson’s appointment was a way for him to plan his departure from Apple. Ive says the Apple Watch was conceived “close to Steve’s [Jobs’s] death”. The Apple Watch resembles one of the watches from Marc Newson’s own Ikepod watch company, and the 1904 Cartier Santos. In-store, the watches will be displayed in a glass-topped cabinet, “accessible to staff from below, via a descending, motorised flap, like the ramp at the rear of a cargo plane”. The watches’ fitness achievement icons, or virtual medals, will have a “a mid-century Olympic Games” feel. The lightsabres in JJ Abrams’ upcoming movie Star Wars: The Force Awakens reflect Ive’s suggestions about the design. “I thought it would be interesting if it were less precise, and just a little bit more spitty,” Ive told his interviewer. Laurene Powell Jobs, Steve’s widow, has consulted Ive about spectacle frames, crockery, and the proper height of kitchen benchtops. “He’s so good on proportion and dimension,” she told The New Yorker.